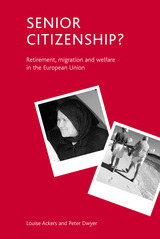 This book charts the development of mobility and welfare rights for those citizens exercising their right to move or return home on retirement under the Free Movement of Persons provisions and explores their experiences of international mobility. It is set within the context of 'Citizenship of the Union'. Senior citizenship? draws on substantial primary research material to: combine detailed analysis of the framework of EU rights shaping social with in-depth qualitative interviews involving retired migrants across six member states (Greece, Portugal, Italy, the United Kingdom, Sweden and Ireland);·[vbTab]describe and evaluate an innovative approach to comparative enquiry that combines biographical interviews with legal and qualitative analysis;·[vbTab]highlight the diverse nature of retirement migration encompassing the experiences of returning workers, migrating retirees and post retirement returnees.·[vbTab]Topics are explored thematically in the context of comparative social policy, raising important and topical issues around the future of social citizenship and the implications of the exercise of agency, in an increasingly global and mobile world. 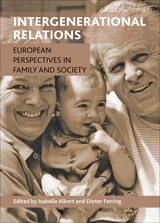 This book offers fresh, innovative approaches to the field of intergenerational family relations, with a particular focus on Europe. Integrating different perspectives, it brings together international scholars from sociology, psychology, and economics to explore the key conceptual issues, multigenerational and cross-cultural perspectives, and applied issues at the heart of intergenerational studies. 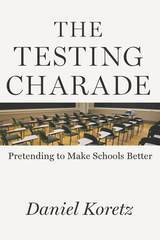 Examining implications for research, policy, and practice, the contributors make suggestions for future directions, and in doing so make important contributions to the current discourse. Little is known about the experiences of children living in families affected by severe and enduring mental illness. This is the first in-depth study of children and young people caring for parents affected in this way. 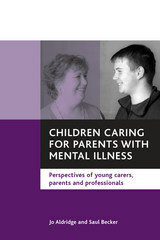 Drawing on primary research data collected from 40 families, the book presents the perspectives of children (young carers), their parents and the key professionals in contact with them. Children caring for parents with mental illness makes an invaluable contribution to the growing evidence base on parental mental illness and outcomes for children. It:·[vbTab]is the first research-based text to examine the experiences and needs of children caring for parents with severe mental illness;·[vbTab]provides the perspectives of children, parents and key professionals in contact with these families;·[vbTab]reviews existing medical, social, child protection and young carers literatures on parental mental illness and consequences for children; ·[vbTab]provides a chronology and guide to relevant law and policy affecting young carers and parents with severe mental illness;·[vbTab]makes concrete recommendations and suggestions for improving policy and professional practice;·[vbTab]contributes to the growing evidence base on parental mental illness and outcomes for children and families. This exciting and innovative book fills a gap in the growing area of discourse analysis within the social sciences. It provides the analytical tools with which students and their teachers can understand the complex and often conflicting discourses across a range of social science disciplines.Examining the theories of Foucault, Koselleck, Laclau and Luhmann, the book:·[vbTab]focuses on the political and social aspects of their writing;·[vbTab]discusses and combines their theories to suggest new analytical strategies for understanding society;·[vbTab]combines theory with practical illustrations.A best seller in Denmark, this English edition is vital reading for anyone with an interest in discourse analysis. 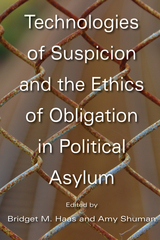 It will also be invaluable to anyone looking at the analytical works of Foucault, Koselleck, Laclau and Luhmann. Students will find the clear exposition of the theories and strategies supported by an easy-to-digest, easy-to-read layout, which includes summaries and boxed examples highlighting the relevance of analytical strategies to social and policy research. From environmental decline to growing economic inequality, things are getting worse for the majority of the human race and will continue to worsen until determined action is taken. Starting from this vantage point, Building Better Societies looks to social scientists to identify what is needed to solve the problems that are leading to a collapse of civil society. 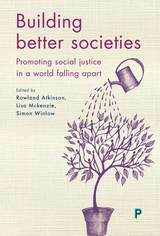 This is the first book to collect the ideas of those whose research on social conditions is at the forefront of our biggest societal problems. 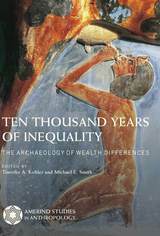 Challenging fellow social scientists to cast aside their commitment to the established order and its ideological support systems, Building Better Societies argues that social researchers must, as objectively as possible, use their skills to look ahead, identify the likely outcomes of various forms of intervention, and move to the forefront of informed political debate. 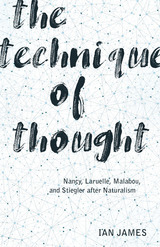 Bringing together expert contributors researching the many aspects of our social condition, this book channels the energy of social scientists into a more normative and engaged voice; it asks them what mechanisms, interventions, and evidence we might draw on as we make a better world.